Travelling for work soon? To help you out, we’ve collected the best business travel hacks for saving time, money and sanity while in the air or on the road. 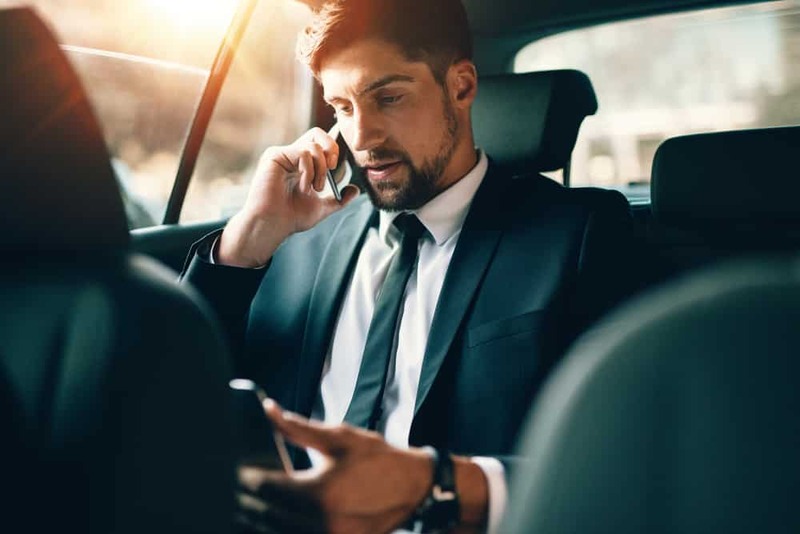 No matter whether you’re heading on your first business trip or you’re already a pro, these handy (and surprising) travelling for work tips will make your next business trip a breeze. Are you travelling for only the weekend or a taking a longer business trip? Either way, it’s best to pack light — as light as possible. If possible, travel with just a single carry-on and no checked luggage. This will give you lots of freedom. How do you achieve this? Learn to pack smart. Pack only essentials: your passport and ID, a few key electronics that will help you keep in touch with the wider world, and essential clothing. Fitting as many items as you can inside your carry-on bag will save you money, allow you to enter and exit the airport quicker, and ensure all your belongings stay with you at all times. If you can manage this feat, you’ll find navigating airport security, the terminal and your destination much less stressful. Less to carry means less to stress or think about, freeing up your mind to work on or practice acing that important presentation. Neutral colours coordinate well together and with any other colour. Make sure you strategise what you’ll wear — hint: neutral colours — to make matching outfits easier when you’re on the go. This way, if you find yourself warmer or colder, or need a fancier or more casual outfit than you anticipated, you can easily switch up your outfit without anxiety. One last tip: If you’re not certain on how many clothing items to pack, three bottoms with four tops is a good rule. Choose a basic, solid-colour jacket or blazer that matches with your basic bottoms colour scheme. This equals twelve outfits, with an optional jacket! Since outlets aren’t always conveniently placed at airport gates, hotel lobbies, and hotel rooms, bring along a portable charger to charge your phone when you don’t have access to a convenient power outlet. Make sure you have a high-resolution scan of your driver’s licence, passport, visas, and credit cards saved in a password security vault like LastPass. Email yourself all of your important documents (such as flights, conference, and a photo of your passport details) before you leave. If you encounter mishap on the road, such as losing your luggage through misplacement or theft, you’ll still have all the information you need on hand. Planning on passing time on the plane by watching the next season of your favourite Netflix show or listening to a podcast? Before you depart, download episodes to the device you’ll have on hand, to entertain you while you’re without Wifi. If you’re collecting receipts to document your business travel expenses, bring an envelope to carry them in. Keeping them all in one place will make it much simpler to complete your expense report when you’re back in the office. Heading to a city or location you’ve never been to before? Before you go, it might be handy to write out all the addresses for places you need to be and the times you need to be there. With this little bit of forward planning, you’ll avoid any potential mishaps from temperamental Wifi, safe in the knowledge that you know your schedule. Heading to a new city to attend a big conference or networking event? We recommend scouting out the agenda ahead of time to get an idea of which sessions you want to attend. Practice your elevator pitch in the car and in your hotel room until it sounds smooth and natural. Memorise a few icebreakers and graceful exit lines so you’re ready for networking. Plan your trip ahead of time, including your transport and how you’ll get from A to B, to make sure your business trip goes as smoothly as possible. As an added bonus, scheduling your pick-up time will create an extra incentive for you to be ready and packed on time. Citicar offers a convenient scheduled pick-up service that allows you to book a pickup time ahead of time. This service is available throughout all major cities in Australia. To make a booking, simply book using our booking form.